So I made these a couple of week ago…and if you are in the market for something ridiculously sweet and rich, this is the concoction for you! 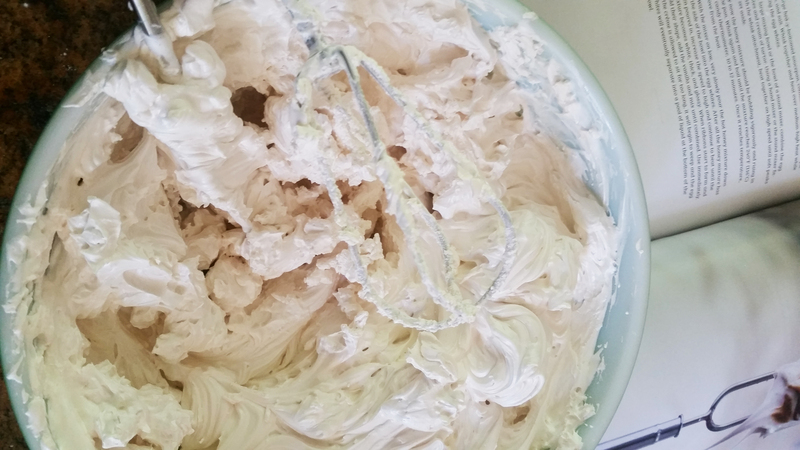 And the best part about this recipe is that I finally got a shot at making marshmallow creme…which is so cool to do and way better than that jarred crap! So the idea here is three layers. First is the Graham Cracker Crust, which is fairly straightforward. Smells lovely! (Not sure if it really rings of graham, but a nice flavor nonetheless!) Second is the Ganache (and, ahem, who doesn’t like a dense layer of chocolate)! Be sure to allow time for the crust to cool. And once you pour the chocolate, give enough time for that to cool as well. which is like a super impressive magic trick! It comes together so nicely….just keep beating! You will be amazed! And then? You get to whip out the torch you never get a chance to use!!! Wahoo!!!! And I am willing to bet you cannot keep from taking more bites of the creme! I am not even a huge marshmallow person, but this is so fun, and delicious! Ha! 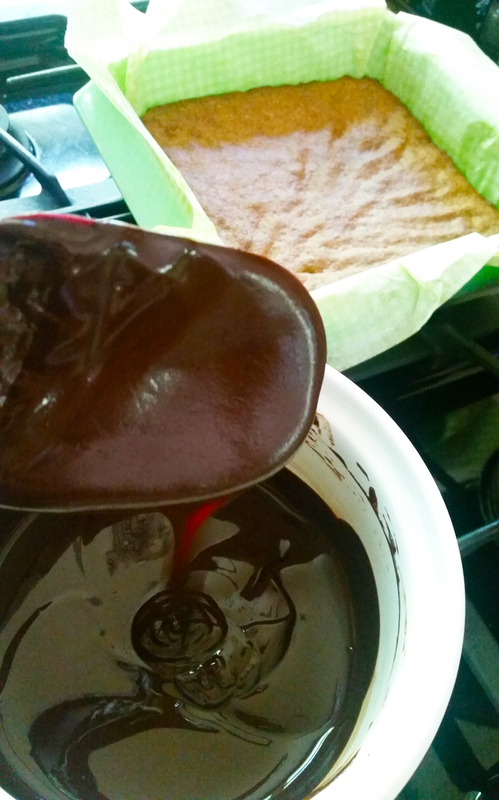 Anyway, just glob it on to the ganache and spread it around. There is plenty! Then torch it!! And now you have to put it all away….in the fridge, and truly, leave it overnight if you can. Pull it out in the morning to cut (breakfast!!!). I used a good serrated knife…I rinsed it off between each cut. Use your big muscles, the knife will go through!! But do cut it while it is good and cold. These are super rich, a little goes a long way! So cut small pieces. I had to take a big container of them to the office (to get them out of my face!!) and they devoured them…! I think these would be so much fun for a party! 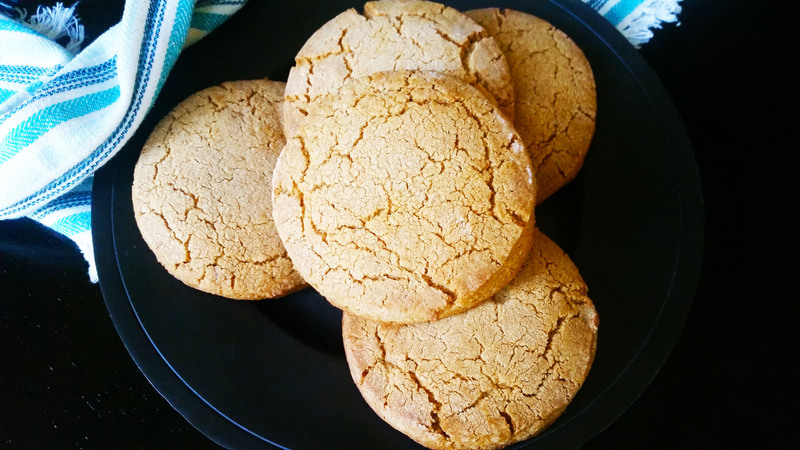 They are impressive to look at, super delicious, can be stretched by size of bites, and can be made ahead of time, just keep them in the fridge. Another amazing pile of sweetness from Clean Eating with a Dirty Mind! Fun stuff! Hey gang! I’m still here and still cooking! Just a little behind in the posts. 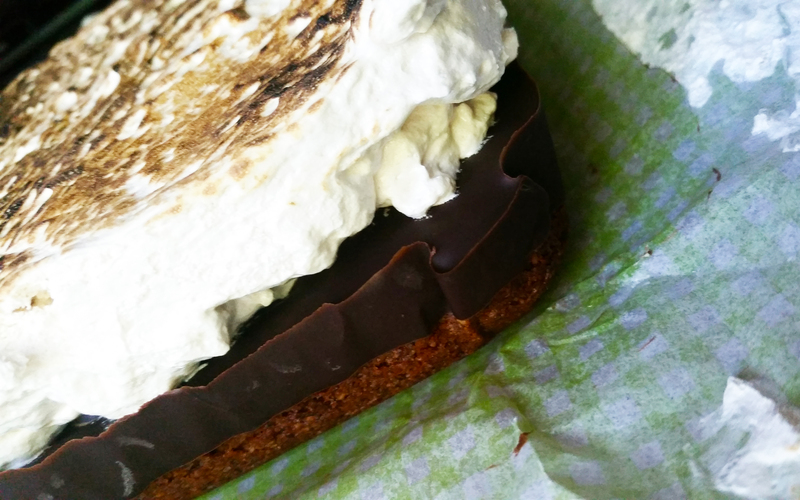 So a couple of weeks ago I made this doozey of a recipe out of Clean Eating with a Dirty Mind. If you are a fan of squash, and a fan of goat cheese…you will be a fan of this! I slow sauteed a few thin slices of onions along with some chopped garlic in about a tsp of Kerrygold butter while the squash was cooking. That got tossed in to the final mix along with some halved fresh grape tomatoes. I ended up and doubled the amount of goat cheese, mixing half into the squash while it was hot, crumbling the rest on top. I think next time I might also toss some red pepper flakes into pan of onions to give it a little kick. And I will confess here and now, I did not share. 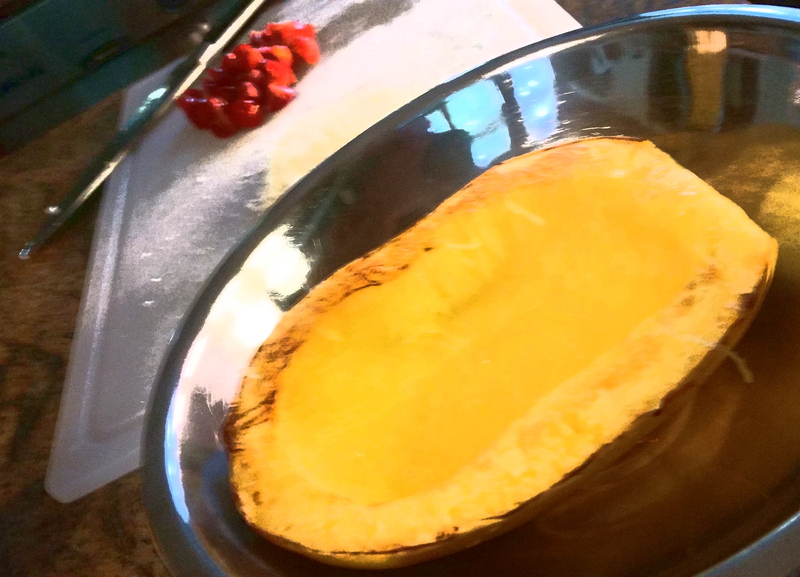 My squash was pretty small anyway. I ate my “half”…and then ate the other half! (Don’t panic, this was all I had for dinner!) And savored every bit! So delicious! Again, Vanessa Barajas, I think your real talents may fall in the savory realm! I have really enjoyed every single one! A nice artistic filter on photoshop! Like Watercolors! Ha! Try this one, you will be so glad you did! 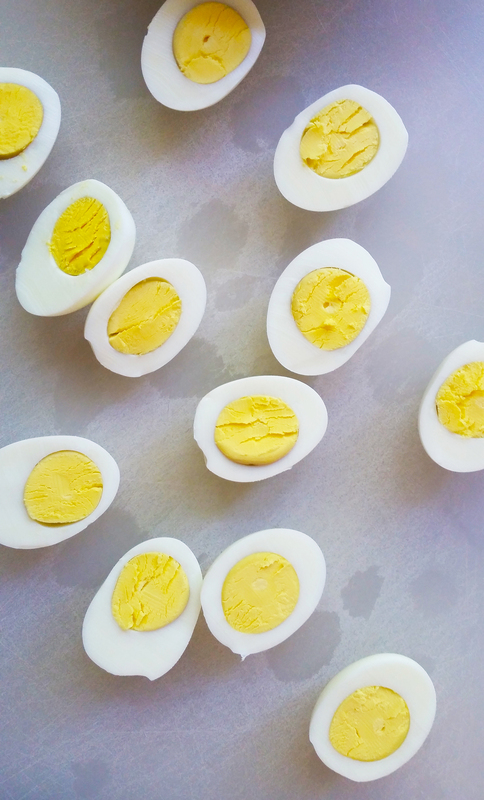 If this doesn’t make you want to run to the kitchen and boil some eggs….well! 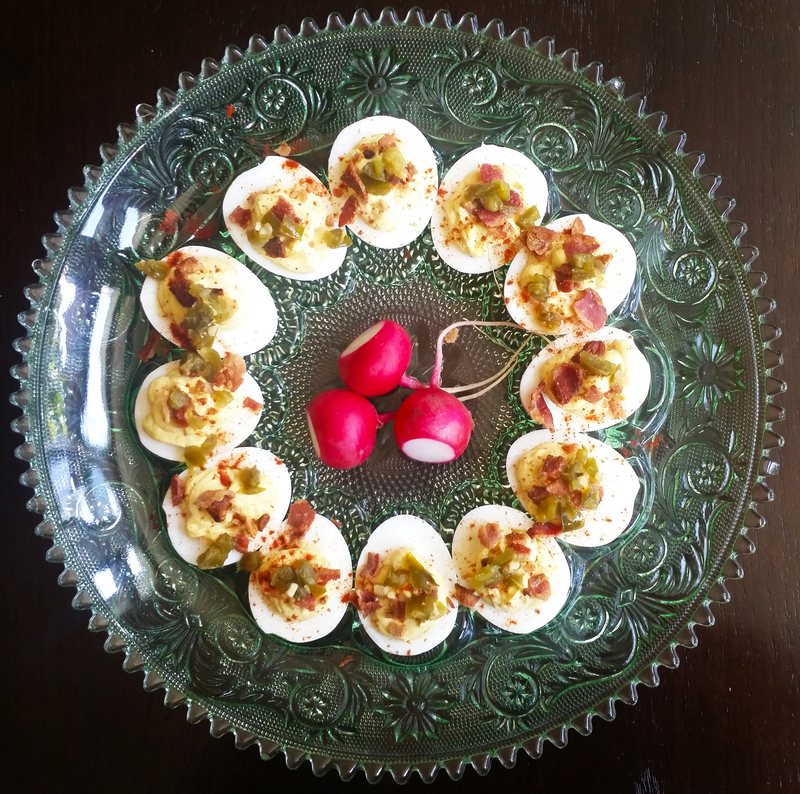 So I am clearly a sucker for deviled eggs…and I always like to give a little twist to the tried and true! They are so easy, and so many ways to dress them up! In Clean Eating with a Dirty Mind, you start as usual, boil some eggs! You can easily alter the recipe to make as few or as many as you like! Her base mix for the eggs is very basic, I had to punch up the salt a little, and might add a little dry mustard next time, just my own preference. Because the big flavor comes with the topping! 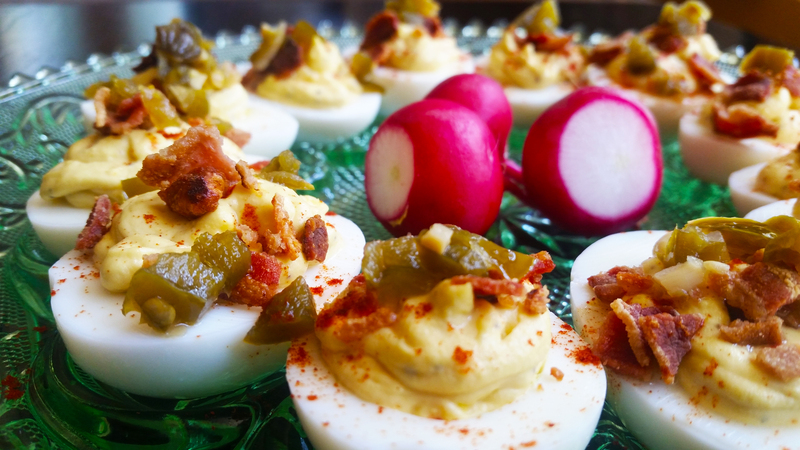 Once you have stuffed your eggs, time to top them! I definitely like a dash of paprika, for flavor and color! 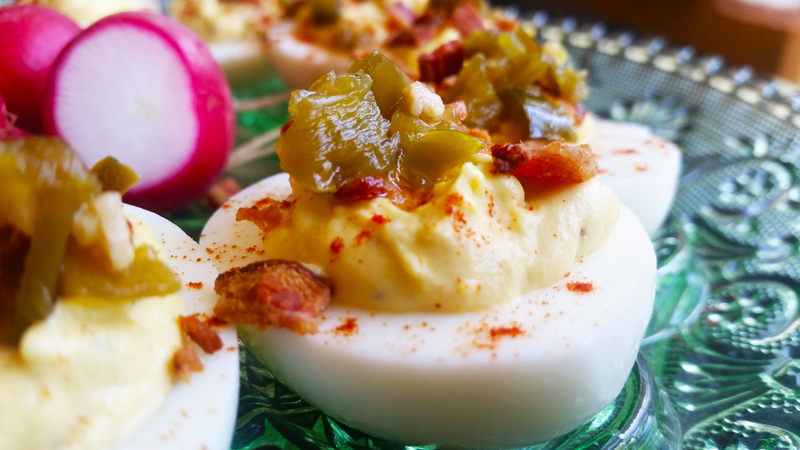 Get generous with the bacon, and then your jalepenos! 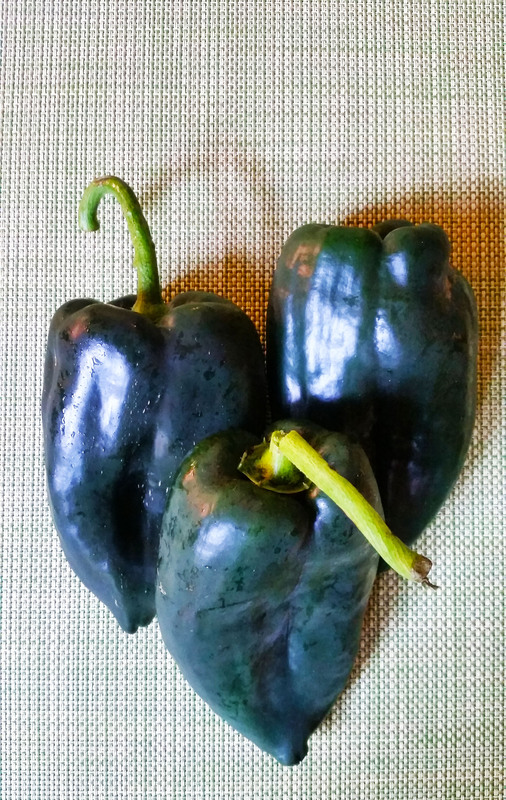 NOW….another personal thing…I prefer chopped jarred jalepenos here….just the right amount of heat and pickle… plus raw jalepeno doesn’t always work for me. But either way, the heat punch is so delicious!! Don’t you wish you had one in your had right now!!?? I know I do! 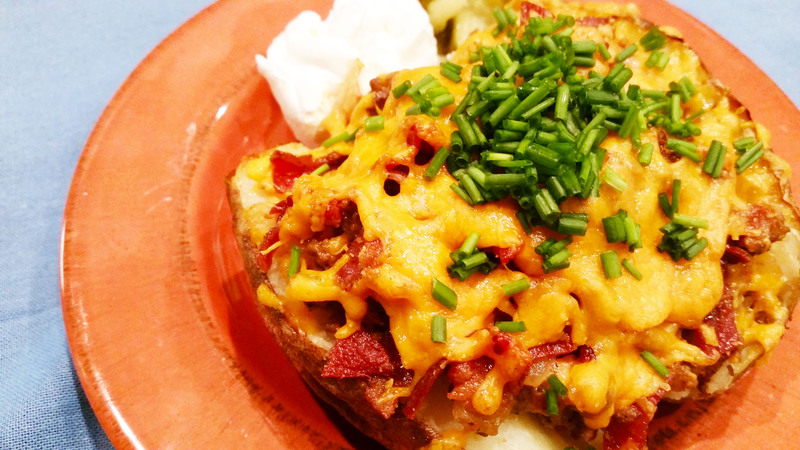 For yourself or for a crowd, this is a tasty twist on an old favorite!! Every. Single. Recipe. 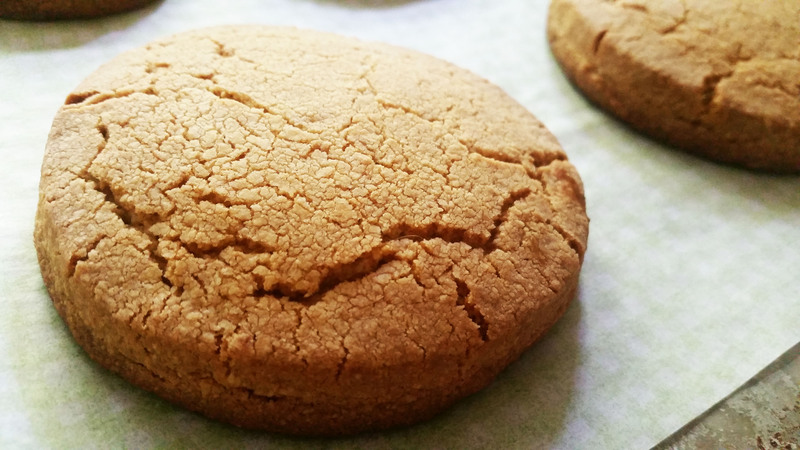 – Snickerdoodles! Wow, I have had such a crazy busy couple of weeks, but I actually have been at work in the kitchen as well, just have not had time to post! 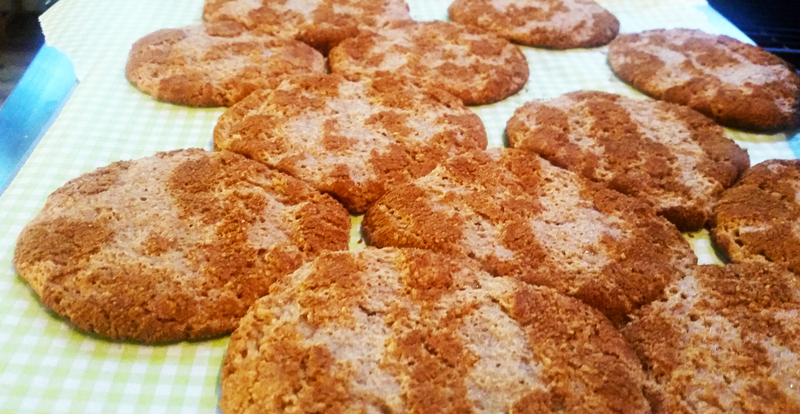 So, a couple of weekends ago I tried out the Snickerdoodle recipe in Clean Eating with a Dirty Mind, and here goes! These are just great! 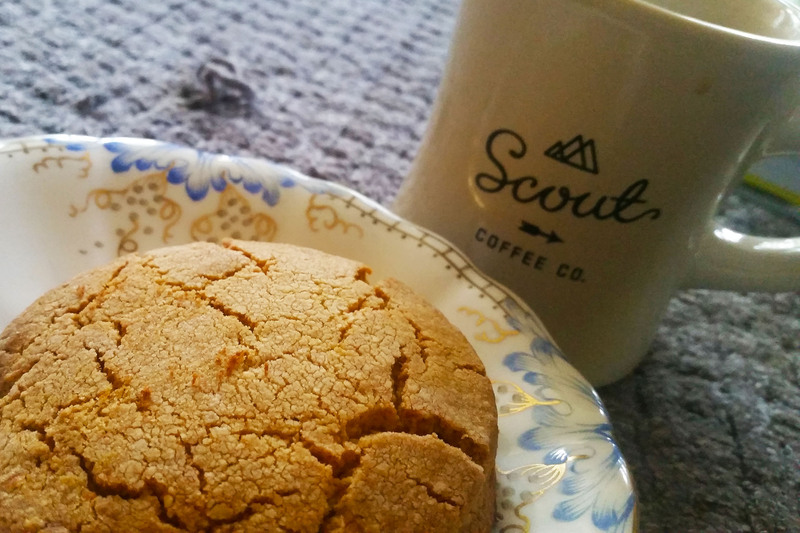 Excellent texture and flavor (especially from her trademark browned butter!) 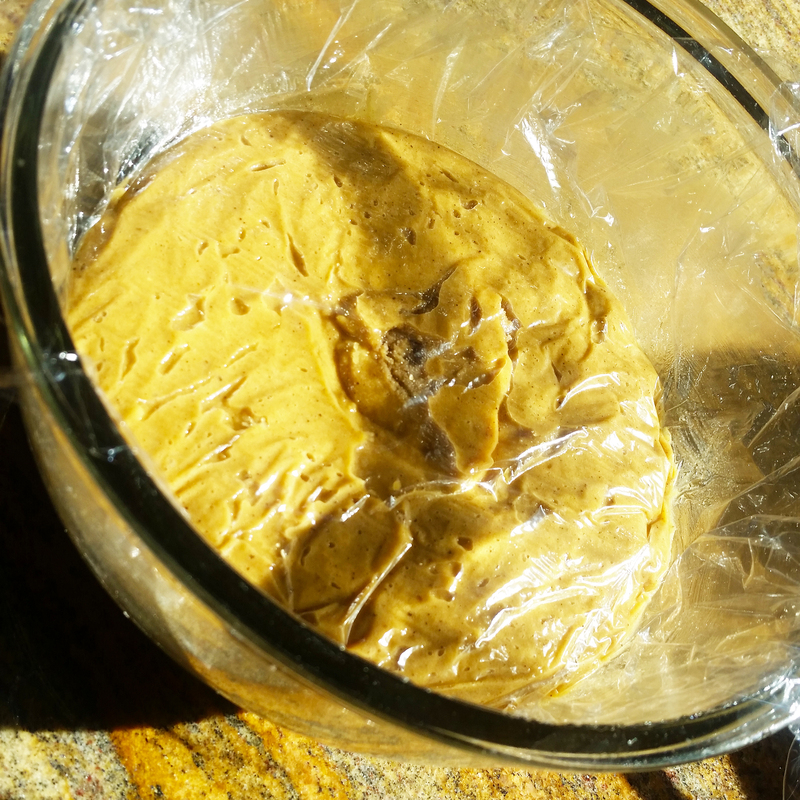 You will want to be sure to chill the dough as mentioned or you will have a sticky mess! But that is no trouble, just cover with plastic wrap like she says and pop in the freezer, you will be glad you did! 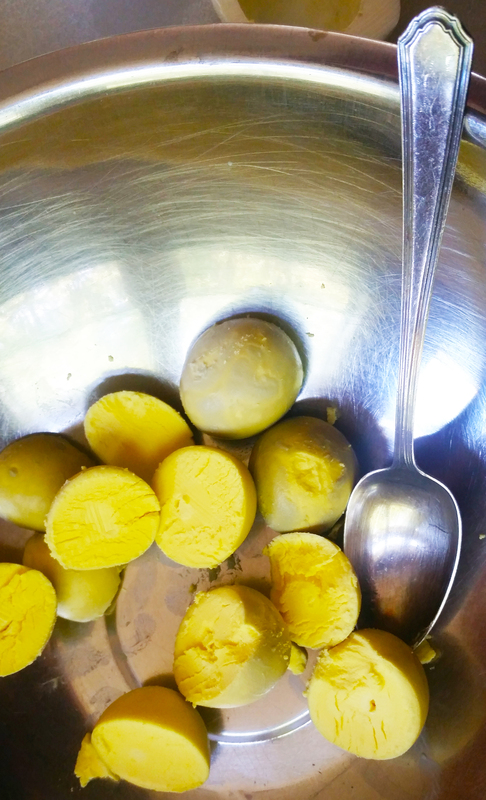 These are quick and easy….and here is my tip…cook them for the minimum time! I decided to let the first batch go a couple of extra minutes because I did not think they had browned enough. Don’t panic! they didn’t burn! They looked fine, but the flavor turned a bit with the extra time in the oven, took on a slightly burnt flavor…not bad, just toasty! Anyway, the next batch I did for less time, and they are SPOT ON!!! 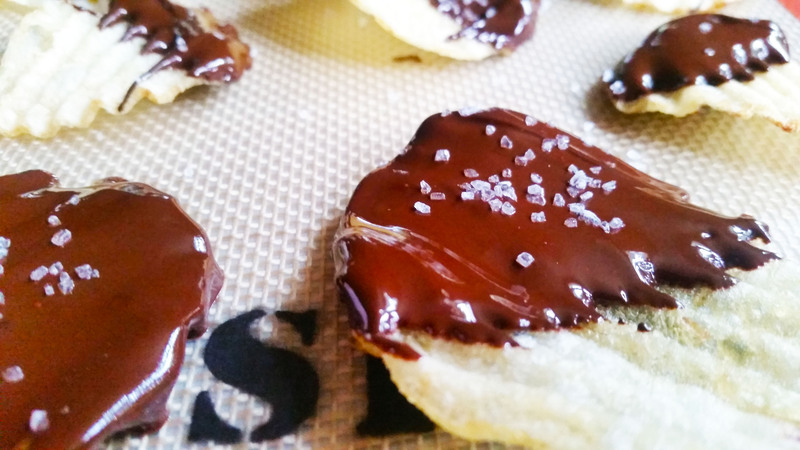 One other tip, give these babies plenty of room on the cookie sheet! They spread! (As you can tell on the pic below, mine got very cozy in the oven….had to pull them apart.)…DARN! You know the rule! Got to eat the “ugly” ones!!! haha! So these are a keeper….another keeper!!! More to come here on the blog this morning, I finally have a few minutes and quite a few to post! Lucky YOU!!! I have been so excited to get to this recipe from Clean Eating with a Dirty Mind, I just knew it would not dissappoint, and I was correct! Nice buttery flavory, flaky on the inside, golden crisp on the edges, this is just about right! The ingredients are right, as are the amounts.. 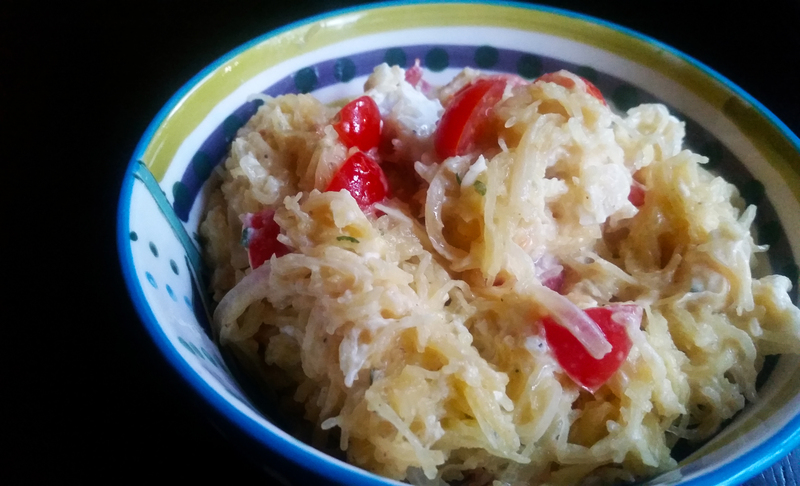 This recipe is quick, simple, all done in the food processor…just the way I like it! Now I want to give you my tips to streamline a little more. Anyway, they just brown beautifully! Start to finish was about 30 minutes, total. They disappear much more quickly! Lucky for me I was having a quiet morning on my own and did not have to share! Did I mention the aroma in the air?? Golden buttery goodness all over the house! Here is a peak at the inside! 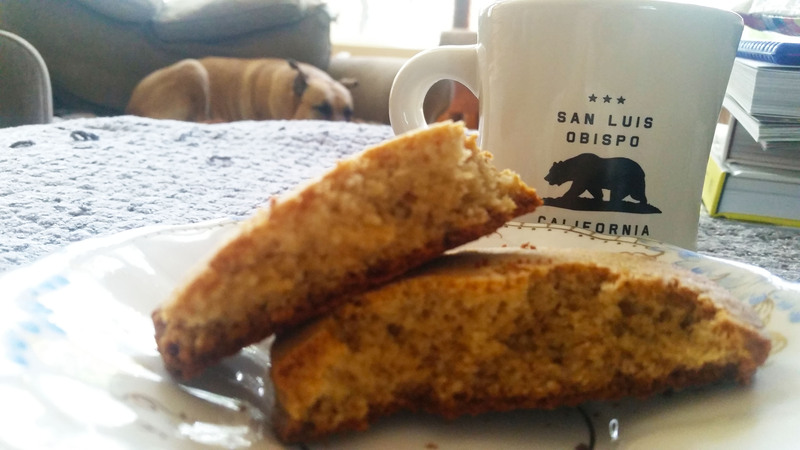 Of all the breads and biscuits I have tried Paleo style, this is as close to the real thing as it gets. Fluffy texture, not dense. 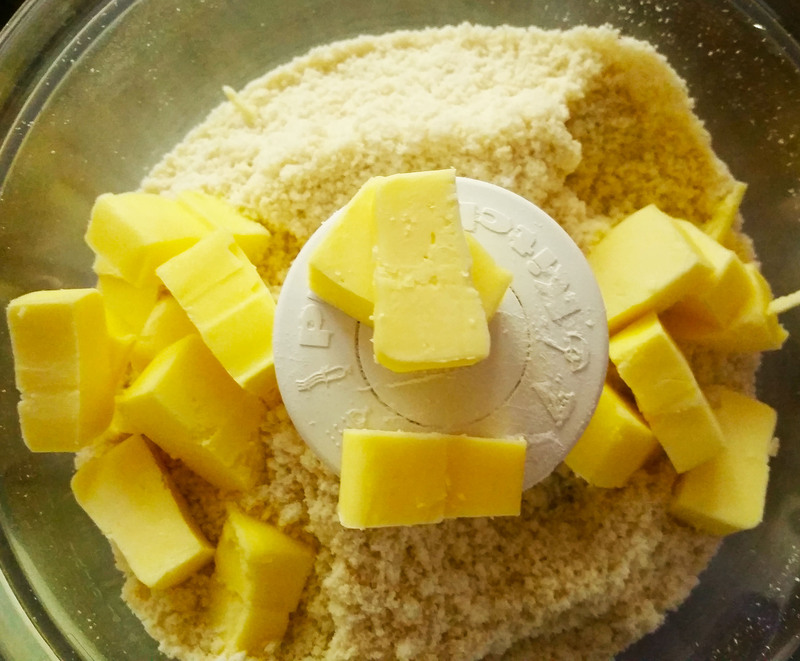 And moist and buttery…in fact I was ready to spread these with butter and honey, but they really do not need a thing! Ate the first one plain, the next piece, put a little honey on it… which for some reason reminded me of “honey-wheat” bread that I used to eat a million years ago! I can’t wait to toss a fried egg on one. Take that, golden arches! In conclusion, this one is getting dog-earred for sure. 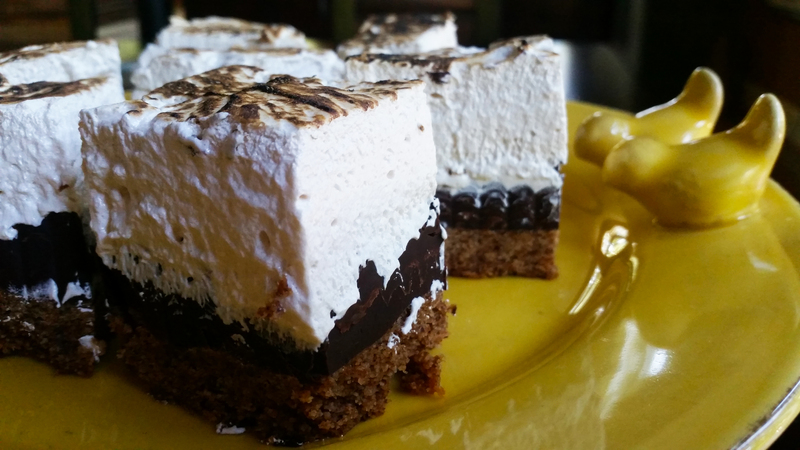 I will make these again, they are too easy and way too delicious not too! Let me know how yours turn out!! AND…please share this post on all your favorite social media spots! Let’s get the word out there!! Every. Single. Recipe. 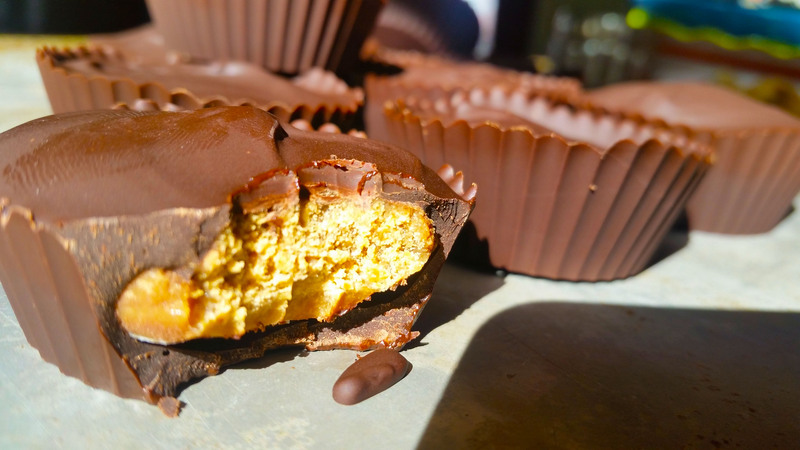 – Going deep into it – Chocolate covered Caramel Cups. This is beautiful stuff from a beautiful recipe. Actually, it takes in two recipes from Clean Eating with a Dirty Mind. Caramel Sauce, and then Chocolate Covered Caramel Cups. The Caramel Sauce itself is just lovely. Smells divine, easy make. My personal tip? Watch your temperature. And…consider not putting it in the freezer. At least in my climate (Houston, TX)….the fridge should do it. 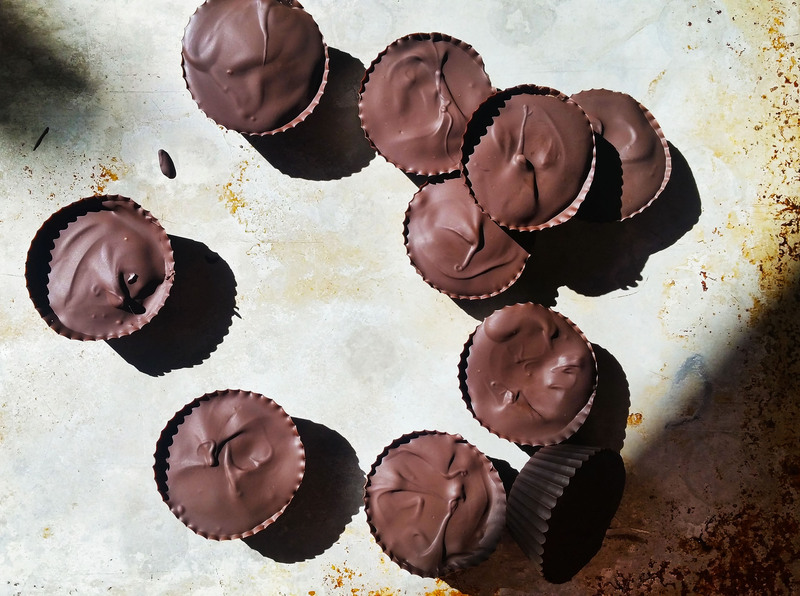 In the freezer, it froze rock solid in minutes and never went back to liquid…but never fear….I mananged to heat and stir it back to softer and form it into little balls, pressed them into the chocolate…and then you get the pic above, which, is the DEVIL! So decadent and rich, even my husband (who would normally eat something like this like popcorn) said it was so rich he couldn’t eat more than one. DANG! The flavor of the caramel is just beautiful…especially when you realize it comes from coconut milk!! Crazy good! So, yeah. Do these. You will not regret it at all! I’m thinking these will be beautiful on your Holiday spread! Oh one other thing, she leaves you on your own to pic the level of chocolate you use. 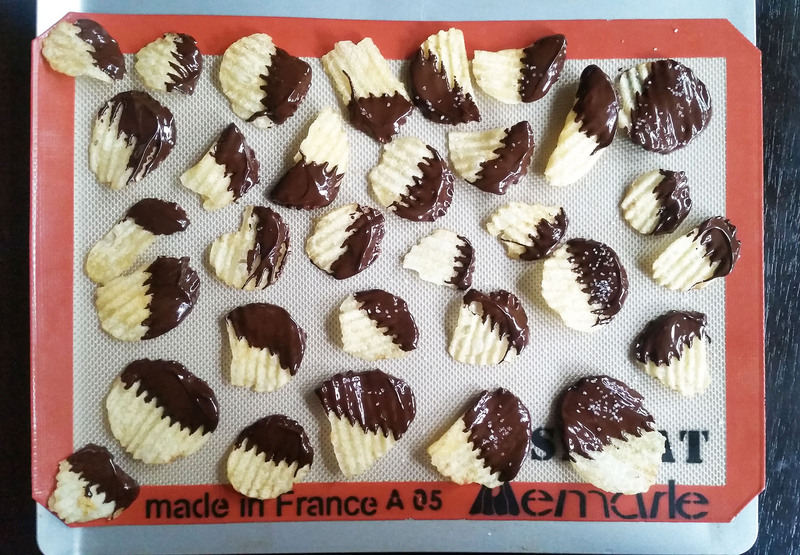 I used semi-sweet mixed with dark chocolate. I will go all dark chocolate next time…the caramel is so sweet you can go deep and dark with the chocolate and still have plenty of sweet! Every. Single. Recipe-Cha Cha Cha! Let me start off by saying, “mmmmmmmmmmmmmmmmmmmmmmmmmmmmmmmmmmmm”. That is technical jargon. I am beginning to think Ms. Barajas may have a calling in the savory world! Of the handful of savory recipes she has in the book, they are all knock-outs so far! Chiles Rellenos. I can honestly say I have never made this before. But have certainly enjoyed it in many a Tex Mex restaurant! I have lived in Houston, TX my whole life and am spoiled for mexican fare for sure! So I don’t usually even bother with it at home, it is too easy to go get some. But since going paleo, it is not so easy. You know the cheese does not come from a grass fed source, nor the meats. You can count on pretty much nothing being organic, although some of the newer, trendier spots are catching on! So being a lover of spicy cheesy goodness, let’s give it a whirl, shall we? I certainly have never purchased these little beauties before….it was fun picking them out! and handling them! And prepping them, which was just simple! As the peppers par boiled, I followed her directions for the meat mixture which came together very quickly as well! I admit…I did add a couple of things, which I think is appropriate with a canvas recipe such as this one. She gives you a tasty, simple version…how far you jump from there is up to you! I really love to see tomatoes in the meat, so I added some fresh pico de gallo, a handful of cilantro and some fresh chopped garlic. The recipe assembles super easy! When layering, I admit, I did add a handful of grated pepper jack between the layers as well as what is called for on top. 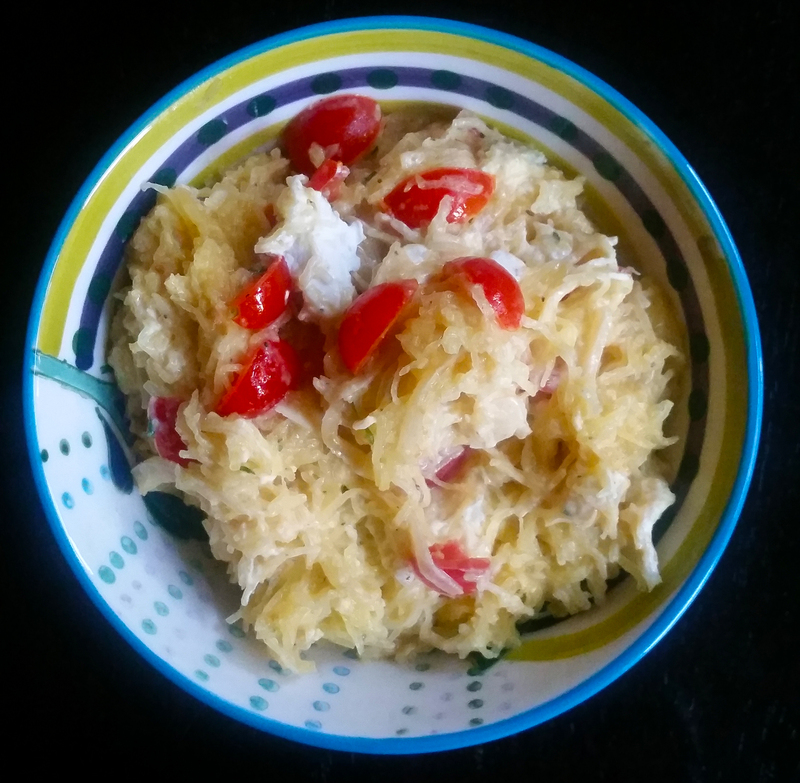 (Note – I cannot find sliced pepper jack from a grass fed source around here, however, I love Rumiano’s brand grassfed cheeses…I used a block of their pepper jack and grated the whole thing….some for the middle layer and the rest on top. MMM cheesy!). 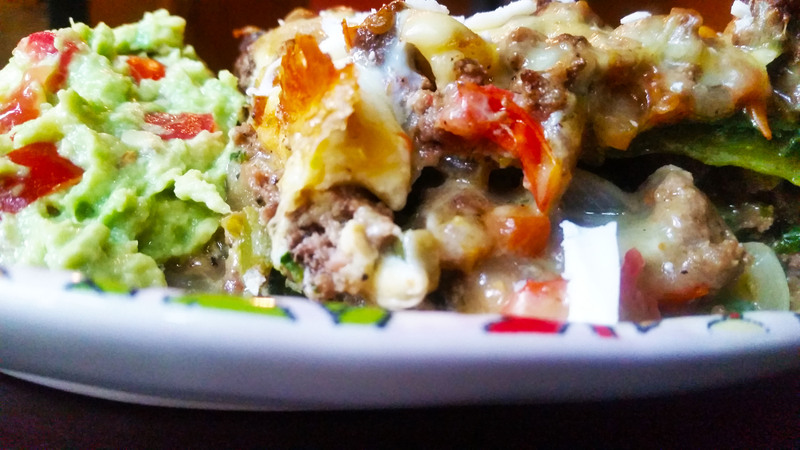 It only takes about 20 minutes in the oven to heat through, cheese melty and golden….while it was in the oven I whipped up some fresh quacamole with EXTRA lime juice…the citrus-y tang of the guac was perfect with each bite of the Chiles Rellenos…and this dish was fantastic! In fact, plenty for 4 people, or in my case leftovers for 2, yay! Except for when your husband decides to go and get a full 2nd helping! Then it becomes my lunch later in the week (today!!!). Make this….you can really push it a number of different ways! It is not overly spicy, just tasty! If you want spice, add some peppers, or salsa, or red pepper flakes to the meat mixture. A spanish cauli-rice would be great alongside as well! Let me know what you think after you make it! And you SHOULD make it! Clean Eating with a Dirty Mind…in the first chapter…hurry! It is too delicioso not too! Every.Single.Recipe. 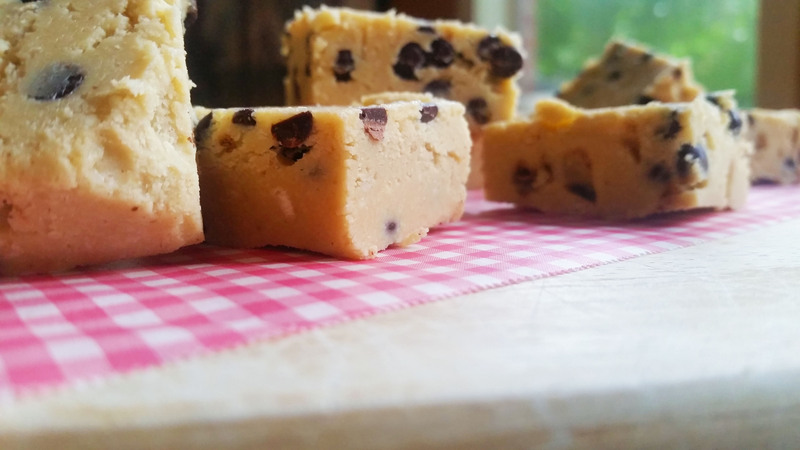 – Cookie Dough Fudge – Clean Eating with a Dirty Mind RECIPE SCORE! Okay, back to business here. 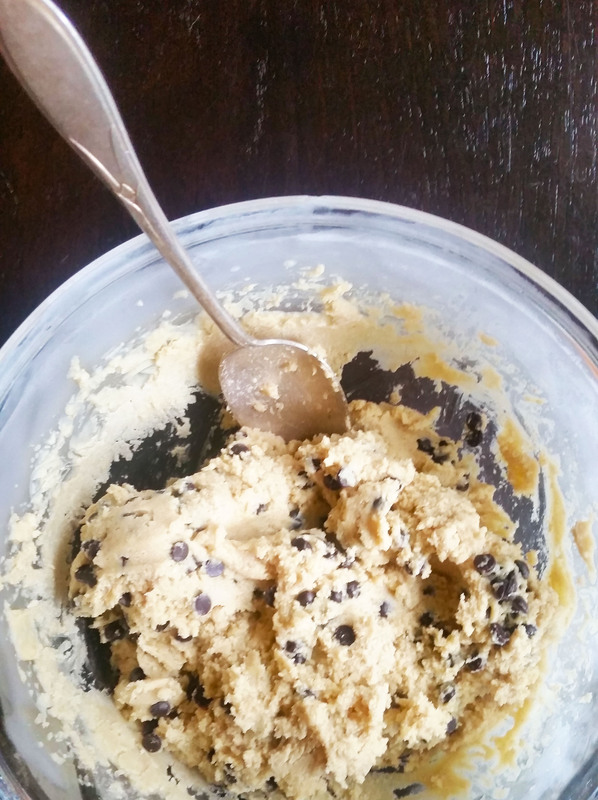 Not complicated, simple clean ingredients and the magic of a cashew base, if you take the extra 5 minutes and do the browned butter, you will end up with an incredibly close rendition of toll house cookie dough flavor! 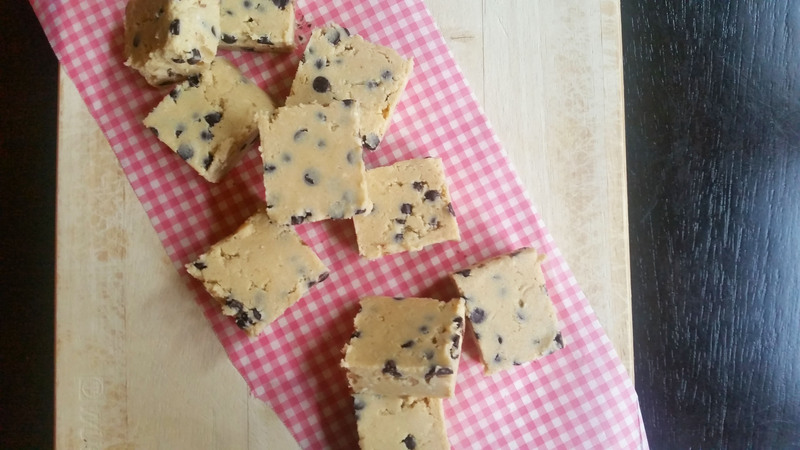 I went with mini chocolate chips…I’m really in it for the dough, so the minis are always my choice with cookies. Be warned, you gotta pull out alot of equipment to get it done, but it is pretty quick. And because of the type of dough it is, it all cleans up easy. (saucepan, food processor, beaters, bowl, pan, spatulas….maybe not that much??) I just grumble about the food processor really, because I keep mine under the sink and I always time it so it just won’t quite fit in the dishwasher! 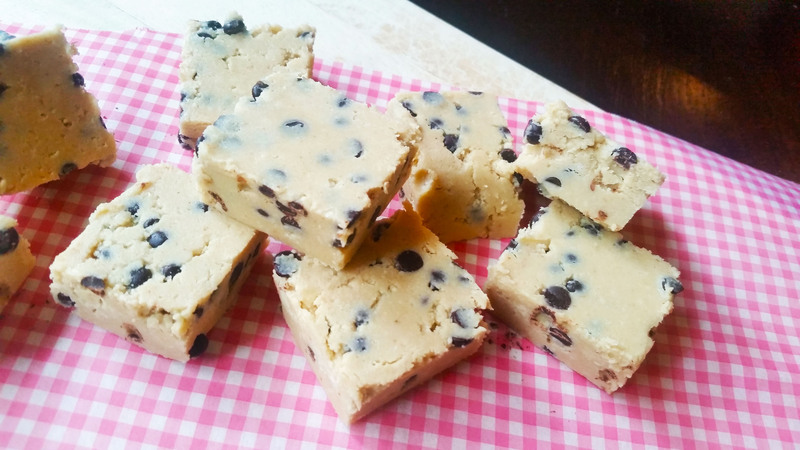 haha…but then I stuff that chunk of Cookie Dough Fudge in my mouth as I wash the dishes and it’s like little kitchen pixies are there with me making it all get done quickly with sparkles and twinkles! I told her not to worry! It’s in the freezer waiting for her on the next trip home!! One more shot for the road…. Get in the kitchen already! Also, pick up your copy of Clean Eating With A Dirty Mind, you will be so happy! Give me some feedback on how you are liking this series of posts…and PLEASE pass along the word about my blog! I know I am having fun with it!!! Hope you are too! Every. Single. Recipe. – Surprise! Salty and Sweet! Yes, you are seeing what you are seeing. Nothing more to say really! I cannot give you the recipe, and it’s VERY complicated, probably way above your pay grade. In fact, don’t even bother looking it up. In fact, don’t even be tempted to throw this together on the fly with what you MIGHT have in your pantry already. It’s just to complex. Ok, one more look….now get to it!! !